The TM Procurement module helps you to stay on top of all procurement activities throughout your fleet. 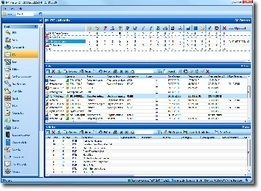 Overview windows list requisitions and orders along with their current status. The details window gives you access to all the information you need, and keeps you in control. The Fleet Management features allow you to approve requisitions received from a vessel, with the option to make any amendments necessary. The replication engine ensures that the ship is notified of any changes. TM Procurement has been designed with the end-user in mind. A well-arranged and intuitive user interface gives you control at a glance, and makes frequently used functions and features readily available. Studies of best practices indicate that TM Procurement is a highly cost efficient tool. The system’s intuitive features allow your purchasing officers to handle more work, thus realising significant savings. Price and tender comparison tools enable you to choose between a wide range of offers, cutting item cost in the process. 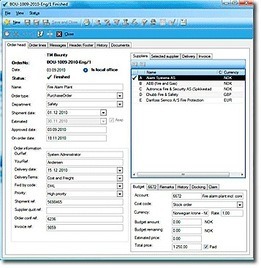 As an integral part of the TM Master Suite, TM Procurement lets your crew members add items to requisitions and drafts when performing other operations such as maintenance or quality assurance work. TM Procurement can be integrated with virtually any third-party software such as ERP systems, allowing for even greater reduction in cost and time spent.